Our 14U on ice curriculum revolves around training our players in a competitive environment that focuses on skill advancement, hockey IQ and game preparation. Off the ice we will focus on fitness, recovery and team building. We expect each player to learn discipline and respect for the game of hockey, their coaches, teammates, parents, officials and opposing players. Practices and home games will be played at the Patriot Ice Center in Newark, Delaware. Practice will be held 2 times per week. There will be 50+ practices during the season. For new players or players who need replacement uniforms, orders will be placed by team, not individually. Your coach will coordinate with R & M Hockey Supply. PLEASE REMEMBER: Complete the Registration Packet located under "Resources" / "For Parents" on this website and bring it to the first night of evaluations. NOTE: A 3.5% processing fee will be applied to all installment plans; however, if you pay in full there will be no additional fee assessed. IMPORTANT: By clicking below, you are "PRE REGISTERING ONLY". Once you turn in your completed registration packet and it is accepted by the Ducks, registration will be completed. We will not accept signed contracts until April 15, 2019. 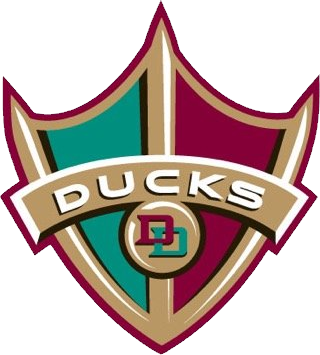 The Delaware Ducks are a non-profit youth ice hockey organization, committed to helping our children develop the skills necessary to play competitive travel ice hockey. © Delaware Ducks. All rights reserved.